The first crop of computers powered by Google Inc's Chrome operating system will start selling in mid-2011 and come with free Verizon Wireless connections for two years, opening another front in its rivalry with Microsoft Corp and Apple Inc. They are designed to promote Web-centric computing, in which consumers use online applications instead of downloading software to their PCs. To support that, the company started up on Tuesday a Web store selling some 500 games, news and other software applications, carving out a bigger role in the next generation of Internet media and entertainment. 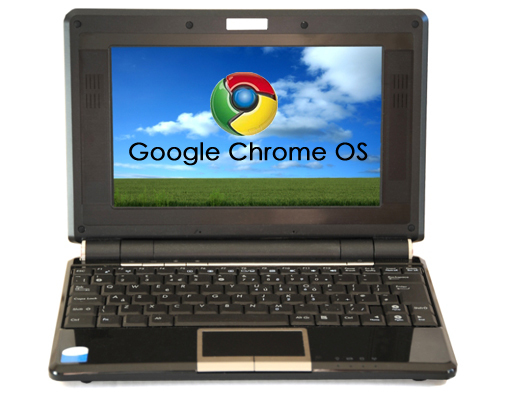 Google executives also told a news conference in San Francisco that the Chrome Internet browser, on which the similarly named operating system is based, has 120 million users. In May, it had 70 million. Apple Inc in October said it would open an applications store for its Macintosh computers as it tries to replicate the success of apps sold for its iPhone. That store is expected to go live early next year. Shares in Google, which had performed strongly all session, were up 2 percent at $ 589.40 in afternoon trading on the Nasdaq.